Vintage design elements and meticulous details make for an artful piece crafted in true Van Kempen style. 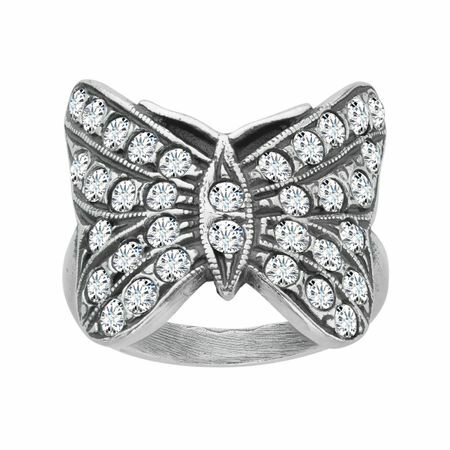 This Art Nouveau inspired ring features a majestic butterfly with scintillating, Swarovski crystals adorned wings set in shining sterling silver. Ring face measures 11/16 by 3/4 inches.